Get a VTech Phone for Easier Multitasking! When I want a trusted electronic in my house, I turn to VTech. They have supplied me with many of our favorite and most helpful electronics from monitors to phones! Today, I get to share two great sets of phones that I think would be helpful in anyone's house! They are both great for families because one allows parents to be hands free and still on the phone while the other connects your cell phone to your landline phone. The first phone (and my favorite!) 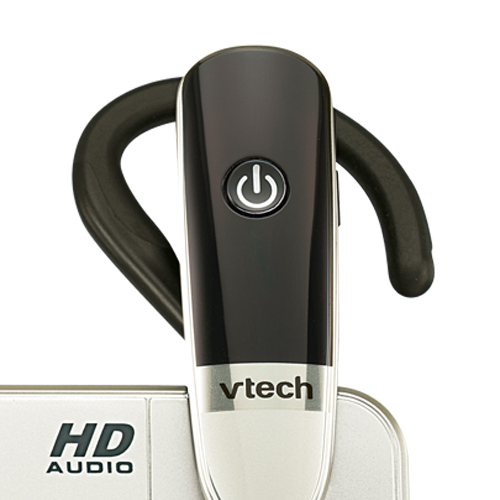 is the VTech Connect to Cell™ cordless Bluetooth telephone. I am really bad at keeping track of my cell phone so that is why I love this phone so much! This phone makes and receives cellular calls with the ease and comfort of a home telephones system—but FINALLY helps me avoid the mad dash to catch a cell call before it goes to voicemail. It is so awesome because it allows you to connect your cell phone to the phone system. These cordless Bluetooth phones are the perfect solution for cellular only households as landline service is not required! You no longer need to pay TWO phone bills a month but you still get the convenience of a home line! 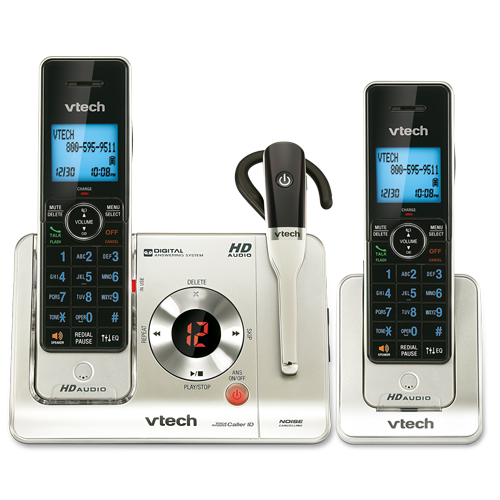 For busy families and home office workers who need an extra hand, VTech’s LS6475-3 comes with a cordless headset built into the base, enabling users to be on a call while accomplishing other tasks.. I love this phone because it is perfect for busy moms like me that seem to always be doing five things at one time! There are no more hands to take those important calls (and my family missed talking to me!!). Now I have no excuse not to answer or talk on the phone because I have this great Two Handset Expandable Cordless Phone with Cordless Headset, Push-To-Talk & HD Audio! Also, when I want to tell my husband something in a different room, I never have to shout or purchase walkie-talkies! :) This VTech phone features Push-to-Talk which makes this system double as a multiple-handset walkie-talkie to instantly communicate with any or all of the units in your home. And of course, the DECT 6.0 cordless headset is what really allows me the use of all my hands! You can now enjoy the freedom of private, hands-free conversations anywhere in your home or office. This convenient headset gives you the same interference-free, superior-quality voice, sound and range you expect from a traditional DECT 6.0 cordless handset with noise canceling microphone. HD Audio - Calls have never sounded so rich and life-like. The frequency band has been extended, allowing the signal to be reproduced and tuned for a fuller, clearer sound. A built-in equalizer provides four different profiles to best match your needs. Handset speakerphone - With the touch of a button, the handset speakerphones makes hands-free conversations easy. 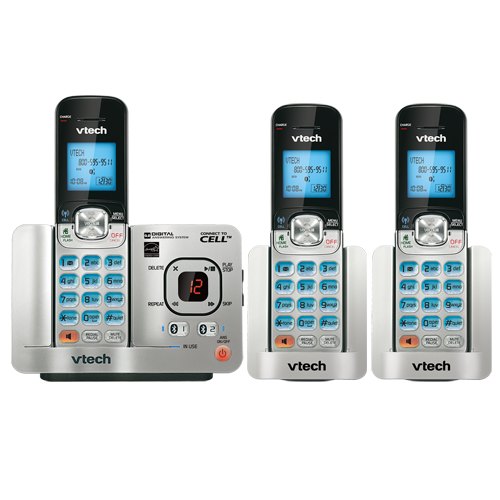 So if you are always multi-tasking at your home, always seem to be running after the ringing phone, or just don't have any hands left to answer or talk on the phone during the day, make sure to get one of these awesome and helpful VTech phones!!! Buy It: You can purchase both of these VTech phones on the VTech Phones website.